The president of the Idaho School Superintendents Association says administrators in several districts purposely submitted incorrect teacher evaluation data to the state, in an effort to protect educators’ privacy. Alan Dunn, ISSA president and superintendent of the Sugar-Salem School District, told Idaho Education News that his district completed teacher evaluations truthfully and accurately. Later, they submitted separate data to the state, inaccurately reporting that every teacher received the same overall score. Teacher evaluations are important because, for the first time, they are tied to taxpayer dollars and an educator’s ability to earn more money through the Legislature’s $250 million career ladder salary law. “It was strictly a kneejerk reaction based on the fact that nobody else needs to know personal information about our employees,” Dunn said. Under Idaho’s teacher evaluation system, educators can earn scores of “distinguished,” “proficient,” “basic” or “unsatisfactory.” Scores constitute a major factor in teachers’ ability to move up and down the career ladder, and thus earn more or less money. Sugar-Salem’s state reports were not unique. 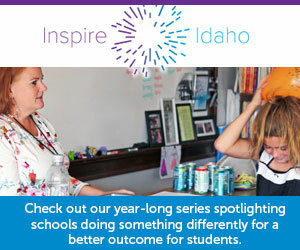 In 2013-14, 32 districts and 12 charter schools sent official reports to the state showing that every single teacher earned overall scores of “proficient.” Idaho Education News obtained these results under the Idaho Public Records Act and first reported on them on June 11. Dunn said he is confident fellow administrators submitted the identical reports on purpose. He said he spoke to colleagues after Ed News published its June 11 article, and again at last week’s Idaho Association of School Administrators conference. Dunn did not name those other administrators, or attempt to speak on their behalf. Senate Education Committee Chairman Dean Mortimer, R-Idaho Falls, said he was not aware that administrators harbored privacy concerns until Wednesday, when Idaho Ed News asked him about Dunn’s comments. Mortimer was one of several key lawmakers who championed the career ladder law during the 2015 session. Mortimer still supports the law, saying it represents a significant effort to recruit and retain teachers. He said he has heard overwhelmingly positive reactions from educators in Eastern Idaho. But Mortimer also described teacher evaluations as a key piece of the career ladder, and said he is “absolutely” concerned about the validity of data. “It sounds to me like what is being done and what is being reported (to the state) may be different, and we need to find out whether that is the case,” he said. Mortimer said he expects the career ladder and teacher evaluations to be revisited and scrutinized once the Legislature reconvenes in January. During a July 28 interview with Idaho Ed News, State Superintendent of Public Instruction Sherri Ybarra called for more accurate teacher evaluation data to be included in official state reports. But at the same time, Ybarra stuck up for teachers, asking why anybody would have a problem with data indicating that an overwhelming majority of teachers received positive evaluations. “I don’t know who decided in Idaho that 99 percent proficiency is a bad thing,” Ybarra said. During the debate over the career ladder, legislators regularly said accountability measures need to be a central part of the plan. However, Dunn said he will tell legislators that they don’t want or need to have access to teacher evaluation data. Dunn is concerned because even his local school board members don’t see individual evaluation results. Administrators don’t share that data, he said, because trustees need to be able to act without bias and impartially during termination hearings and respect teachers’ rights of due process. He is troubled that the state government would have more data on his employees than local school boards, and he thinks evaluation data could further hinder teacher recruitment if job-seekers knew that information was provided to the state.